Today’s mid-day run through sunny London was hot, sticky and sweaty, leaving me with a craving for something super-fresh. My first impulse when I got home was to drown myself in a bucket of ice water, but luckily a punnet of blueberries in my fridge came to my rescue and a new smoothie flavour was born. It was the perfect lunch. 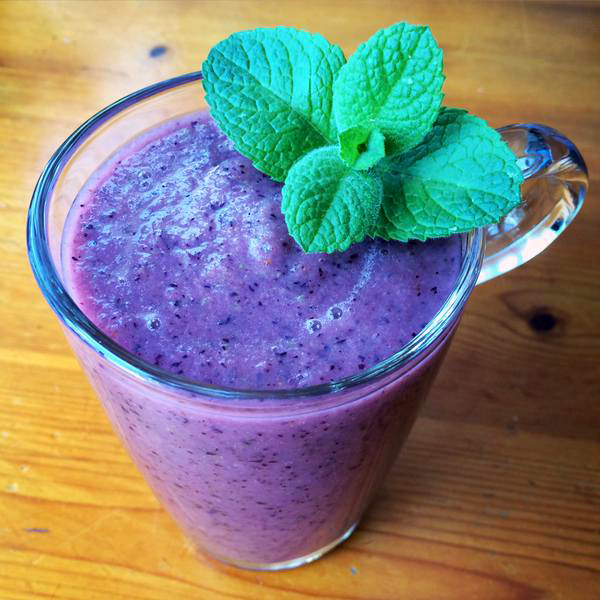 Throw everything in a blender (I use a Thermomix), blitz until smooth and feel ultra refreshed.